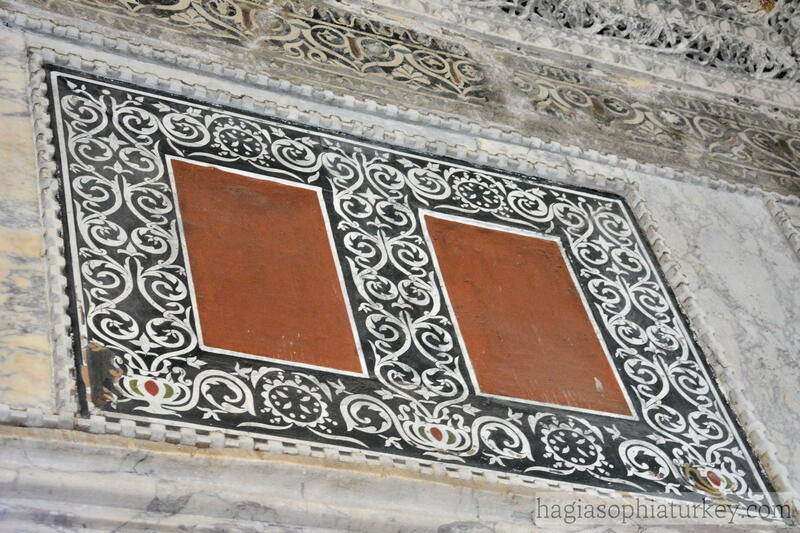 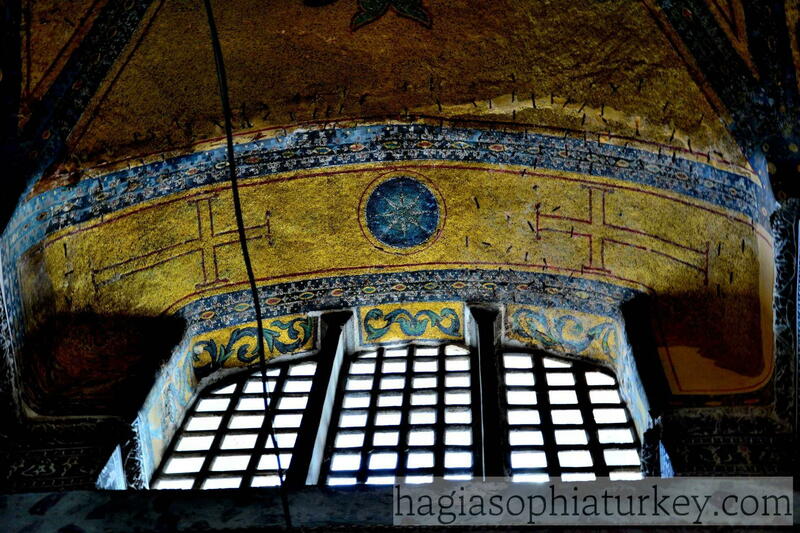 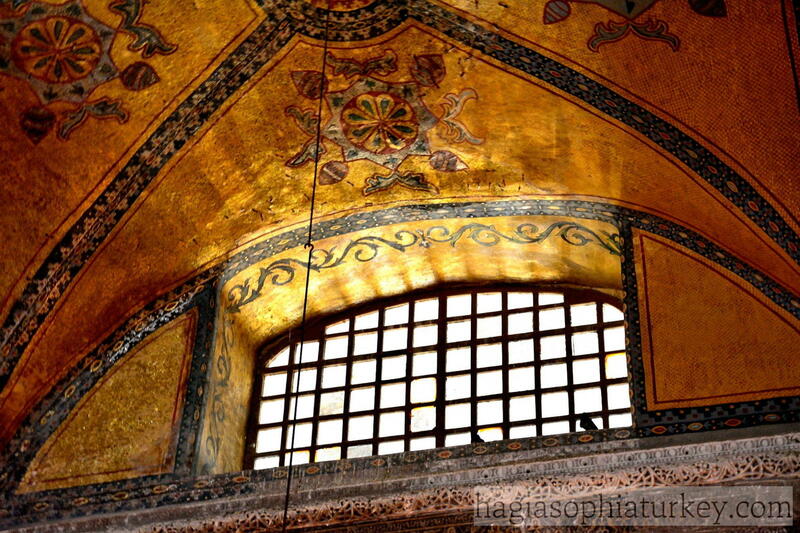 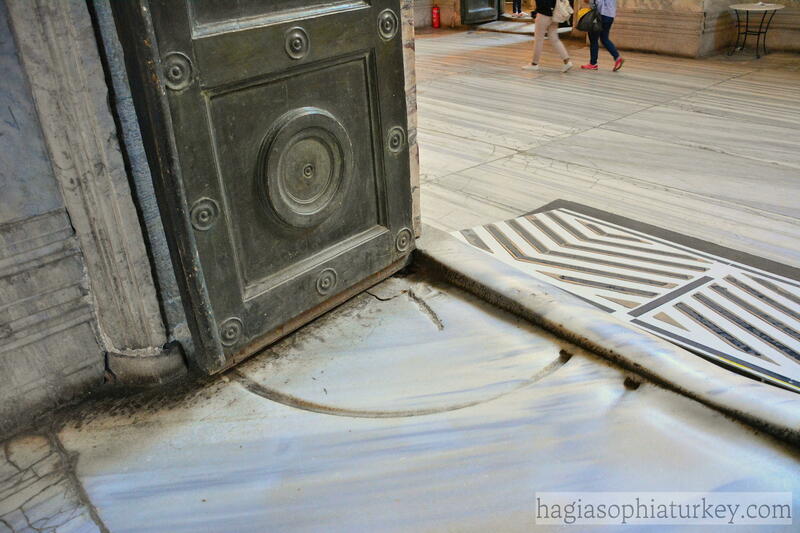 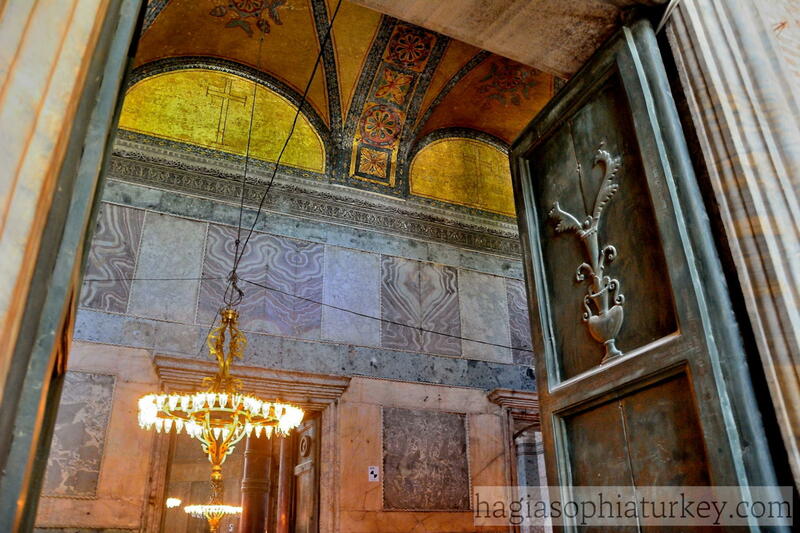 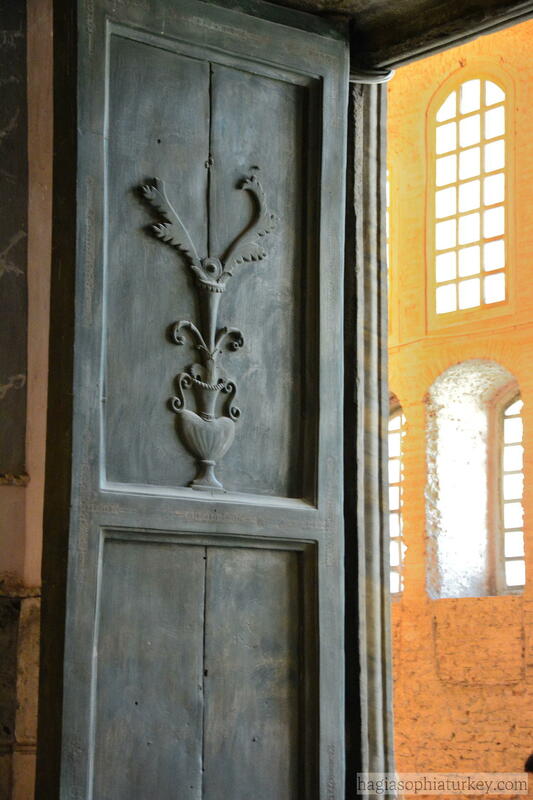 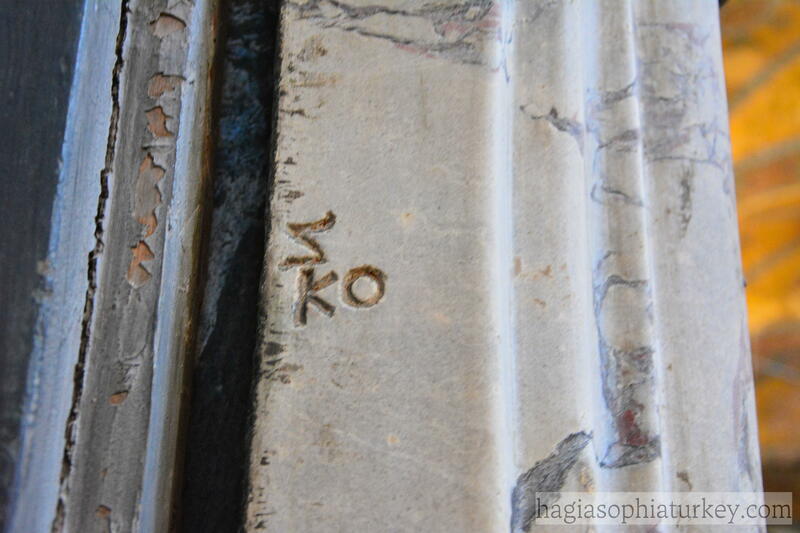 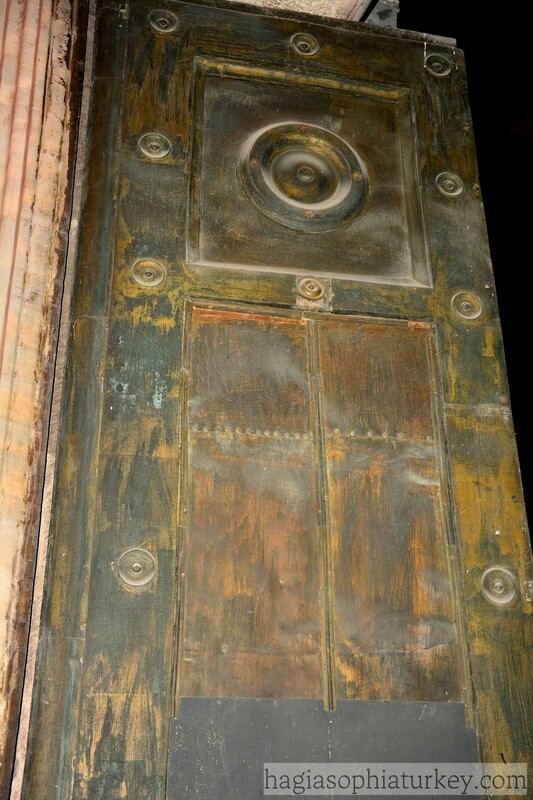 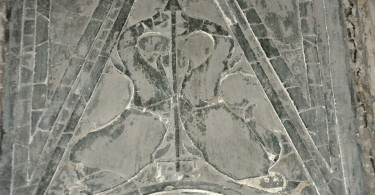 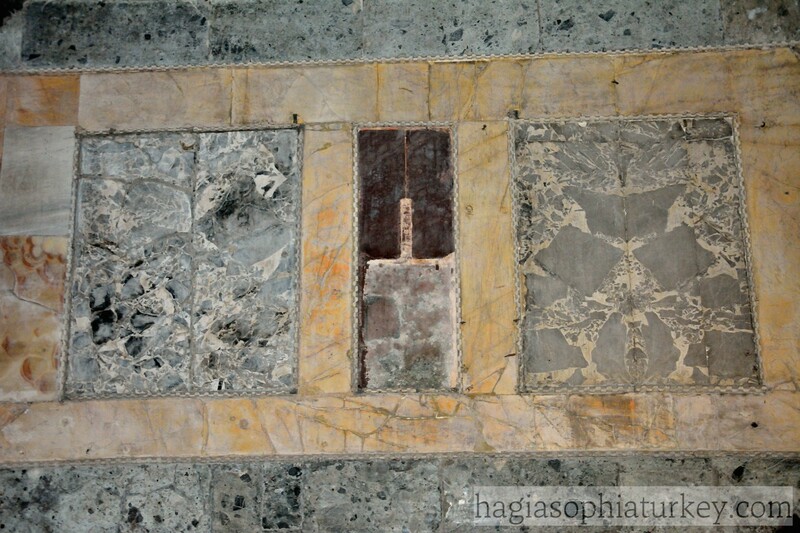 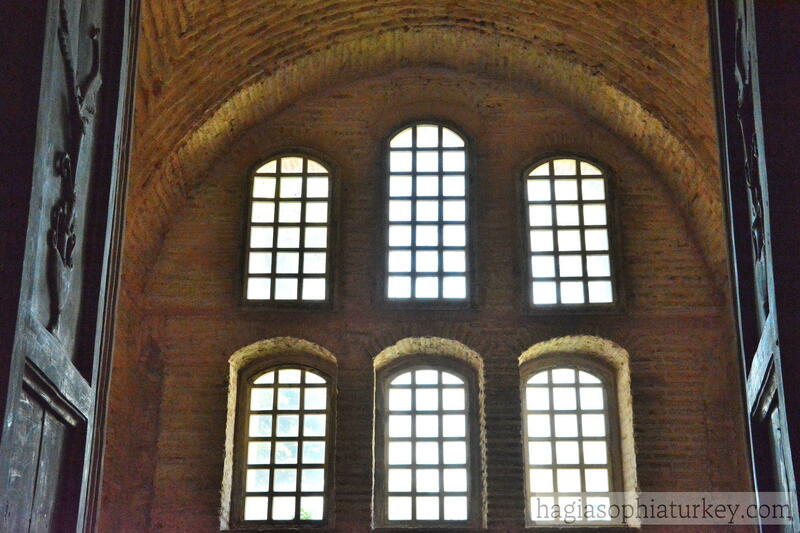 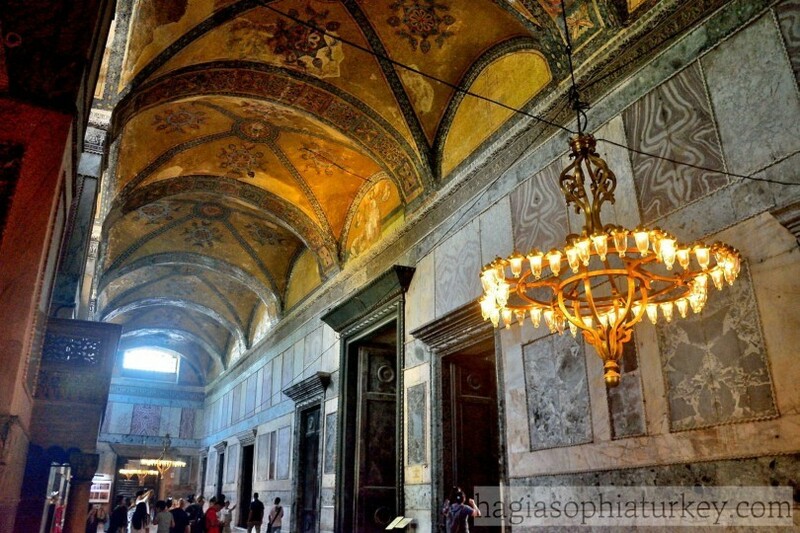 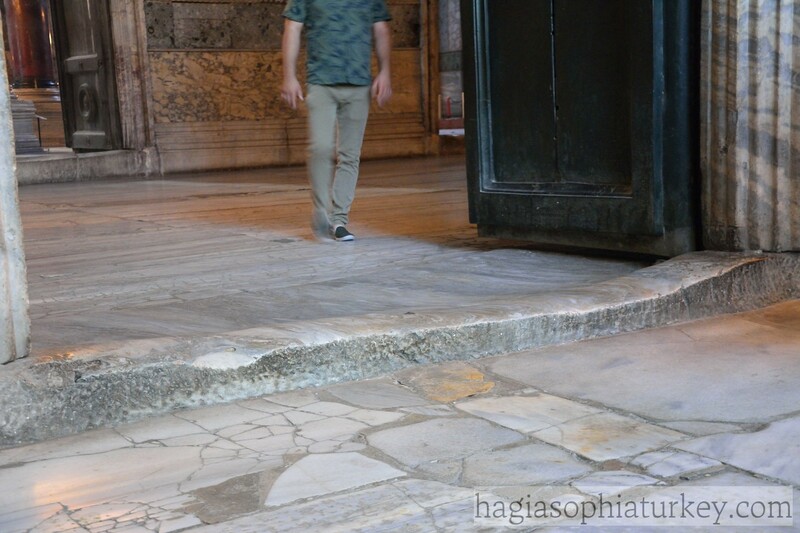 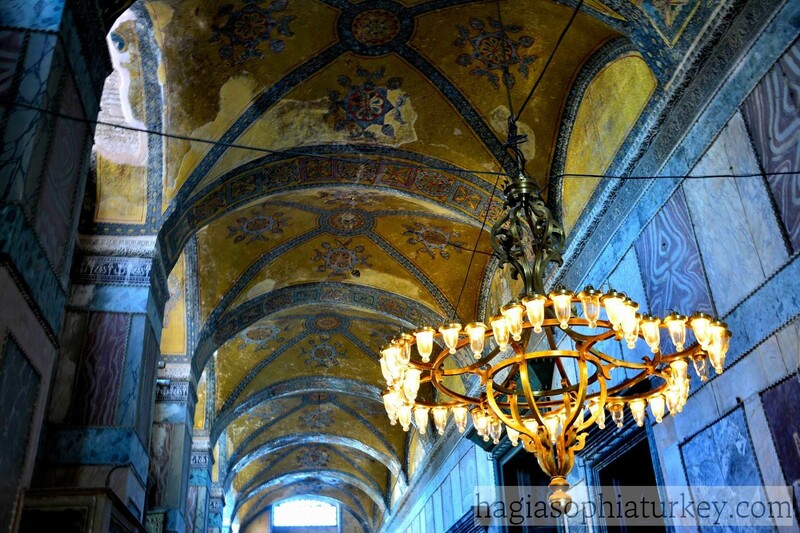 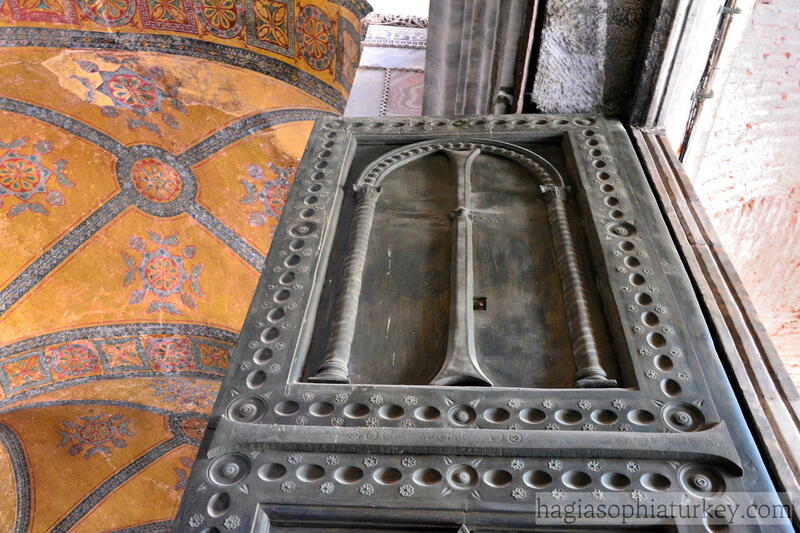 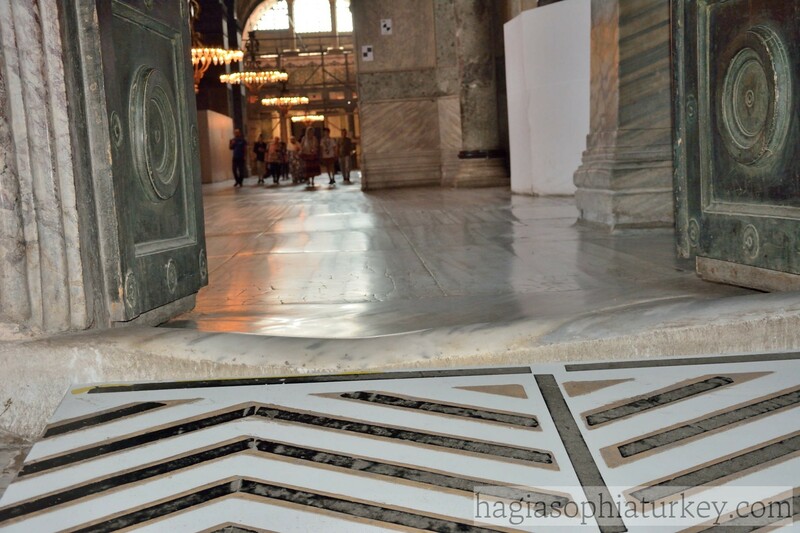 In Hagia Sophia, there are two narthexes, the inner narthex and the outer narthex. 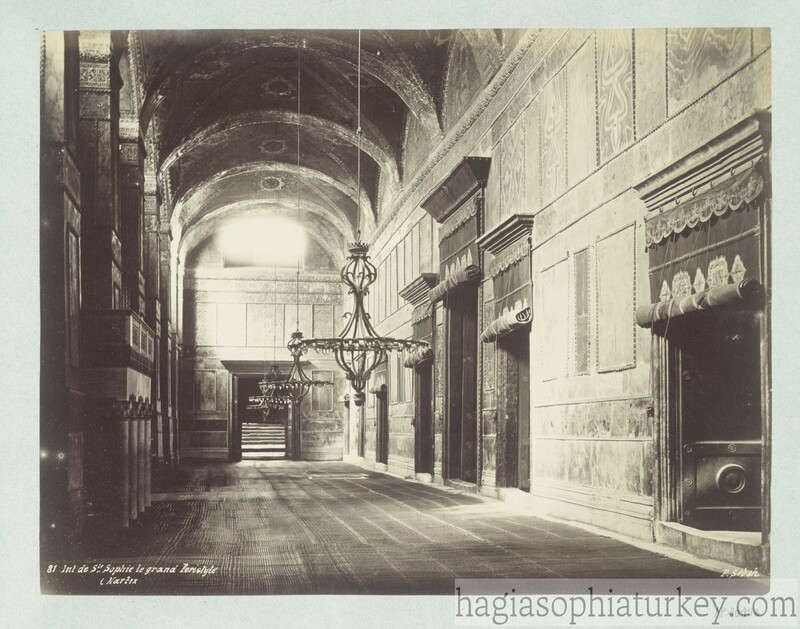 Narthexes used to prepare the believers to spiritual world as they were entering the holy place. 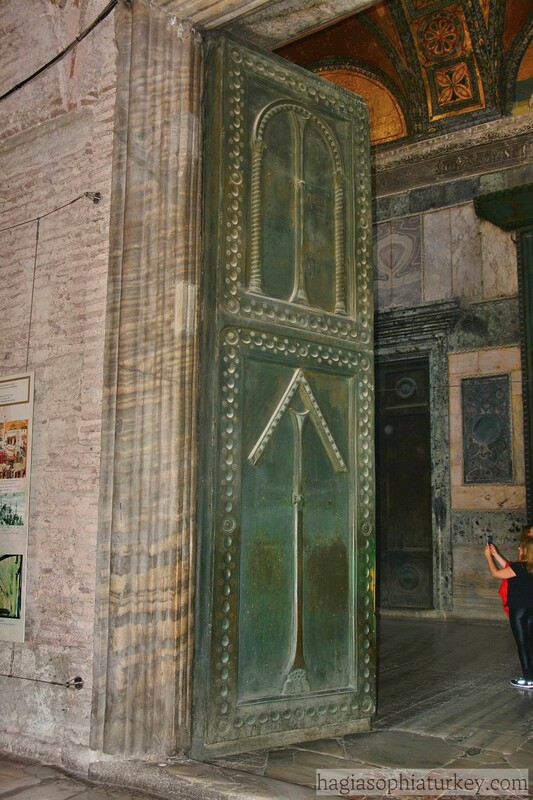 There was an atrium with five gates before the outer narthex originally. 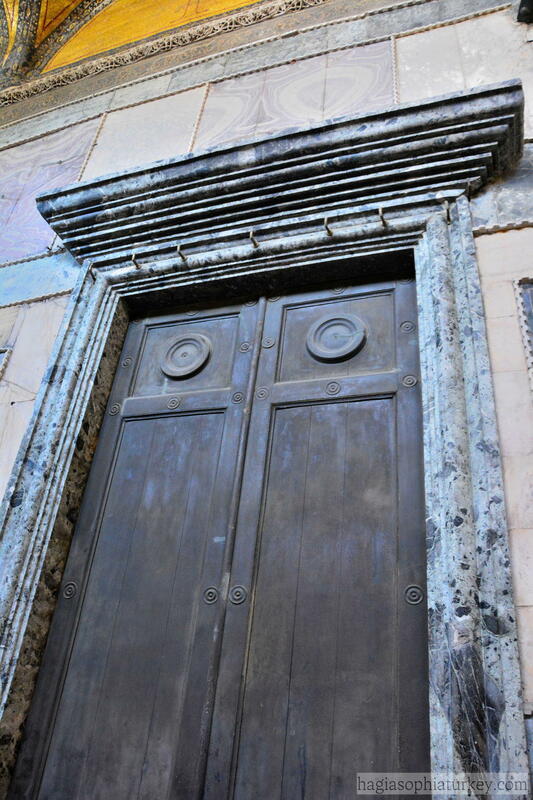 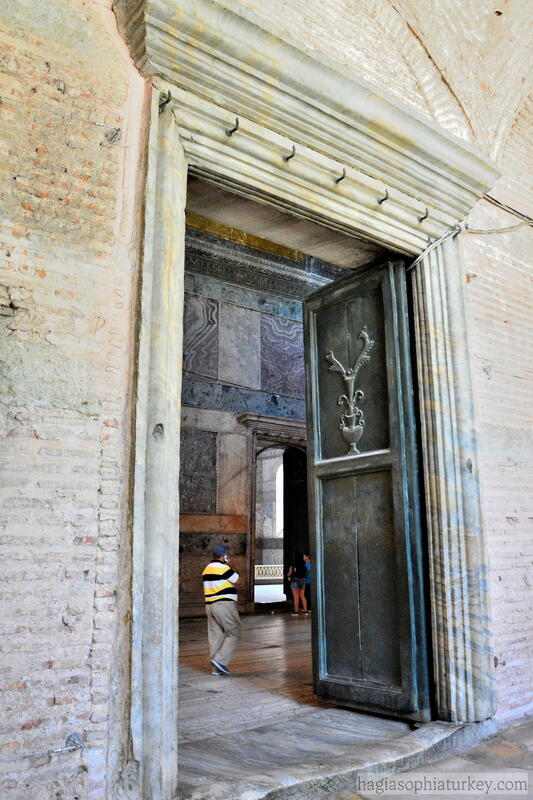 The emperor would come through the Beautiful Gate (Orea Porta) and the weepers would be allowed to stay in the narthexes. 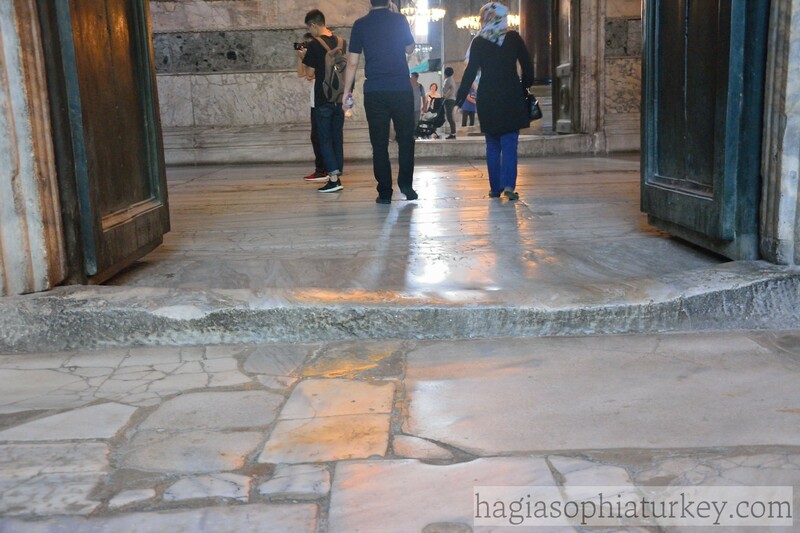 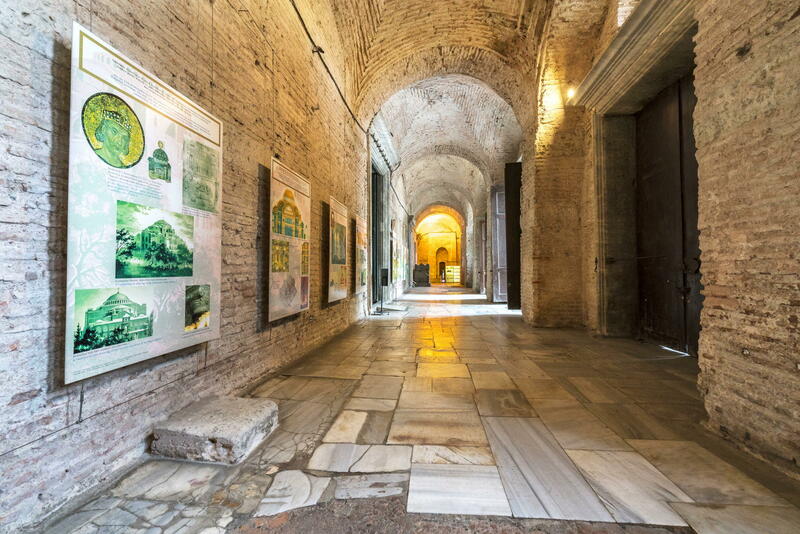 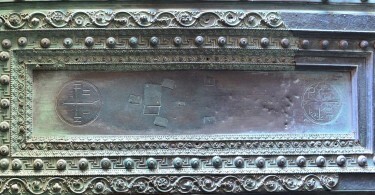 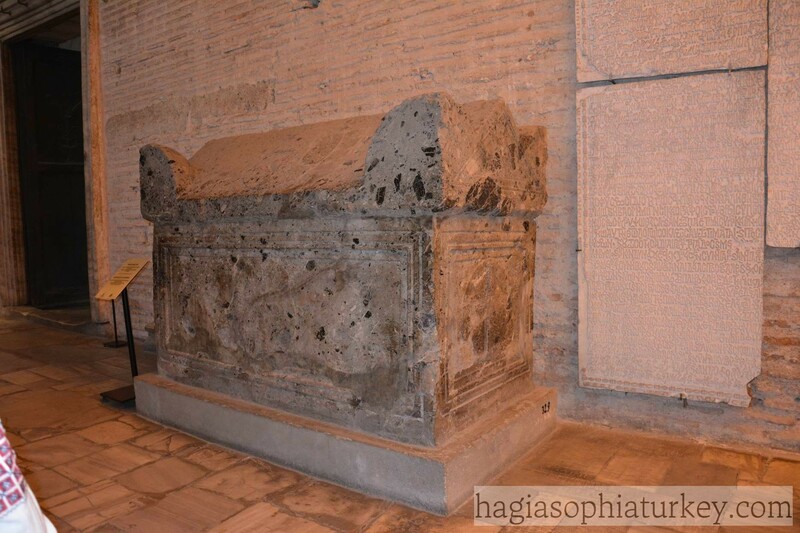 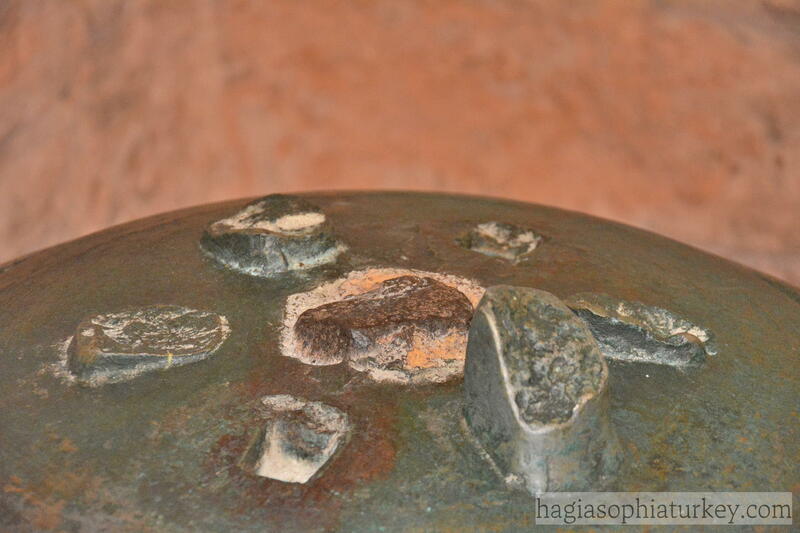 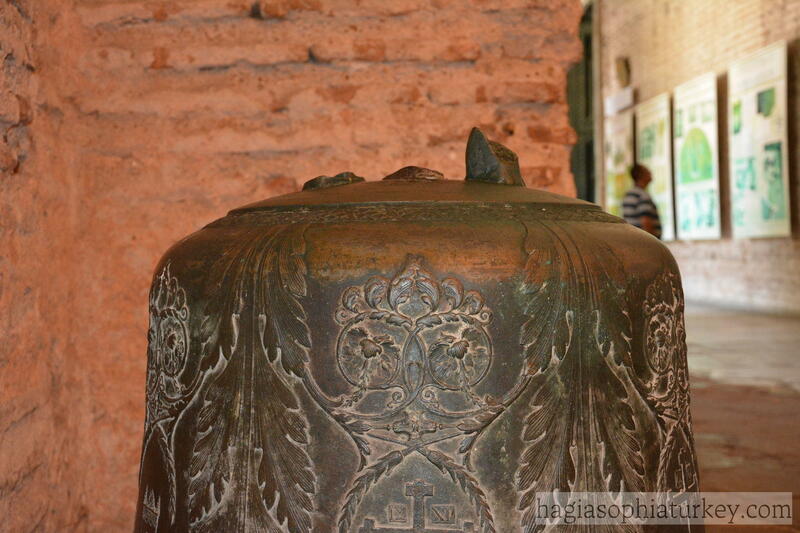 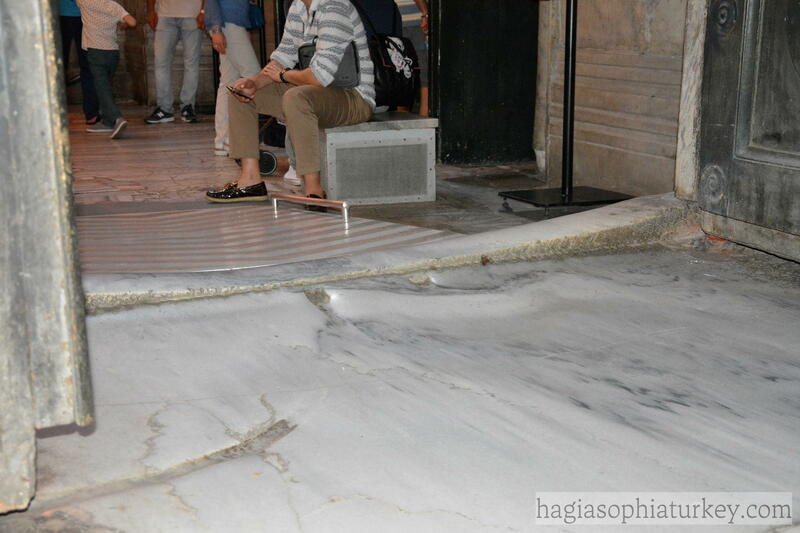 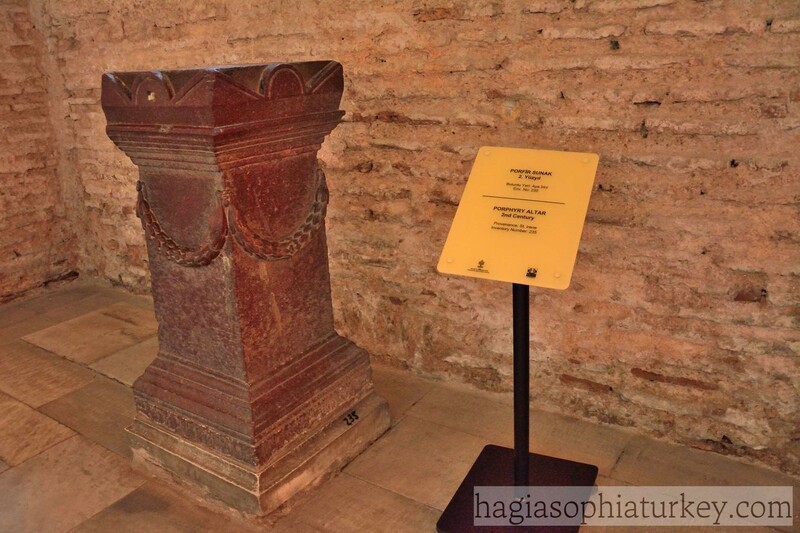 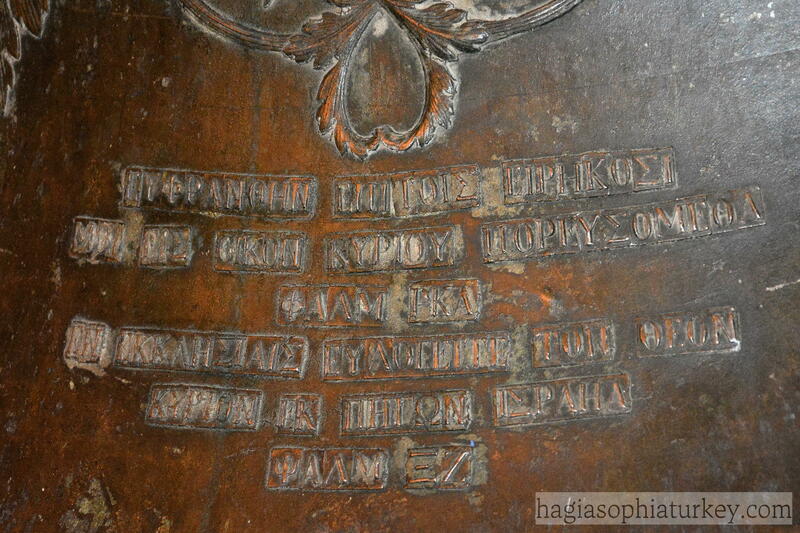 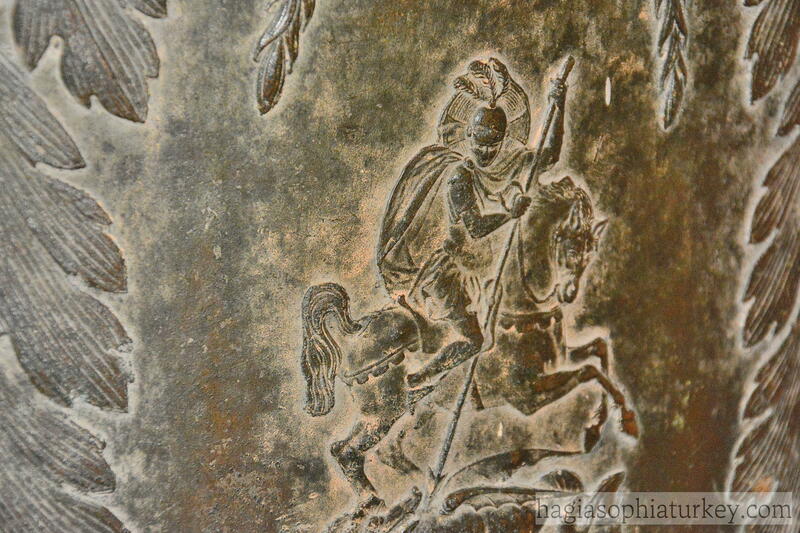 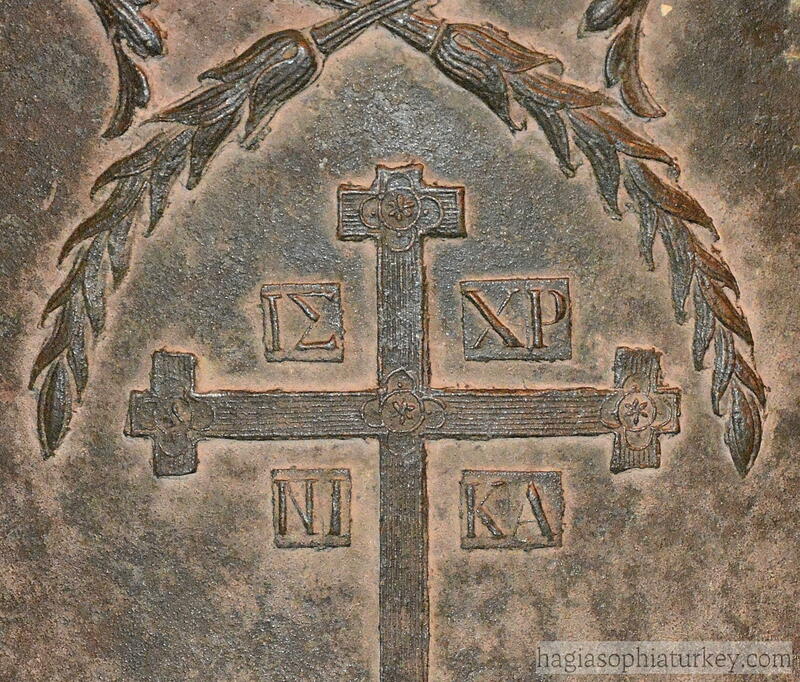 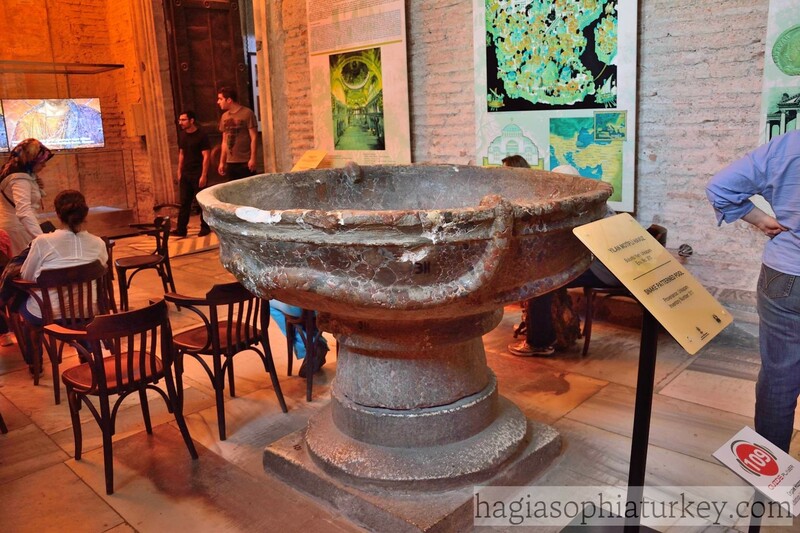 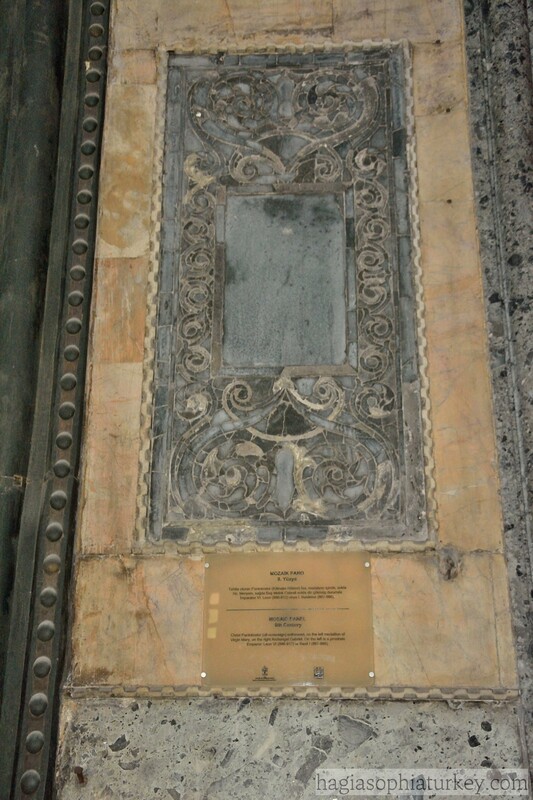 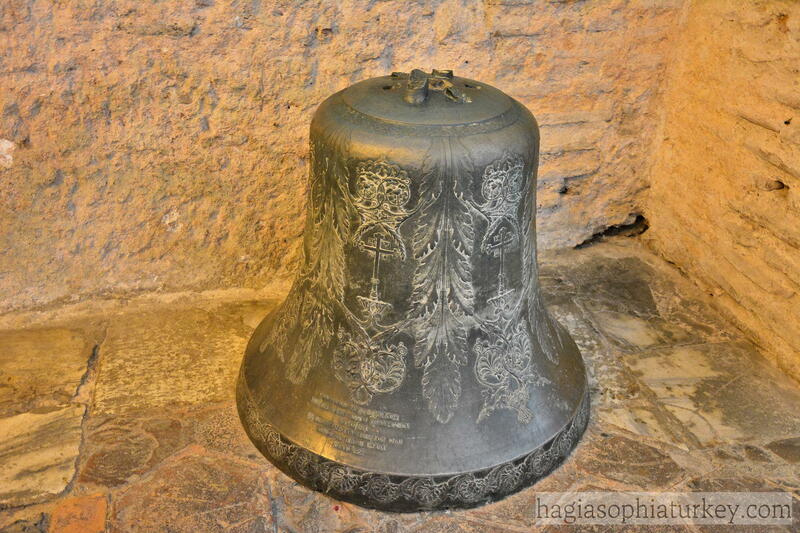 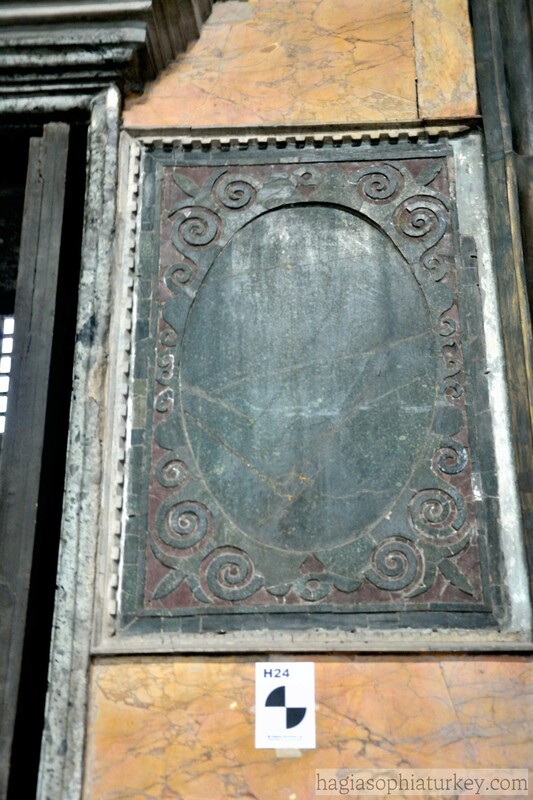 Today in the outer narthex, some relics (like a copy of Synod Tablets, Porphyr Altar, Snake Patterned Pool, Bell of Hagia Sophia and Sarcophagus of an Empress) from Hagia Sophia church are exhibited. 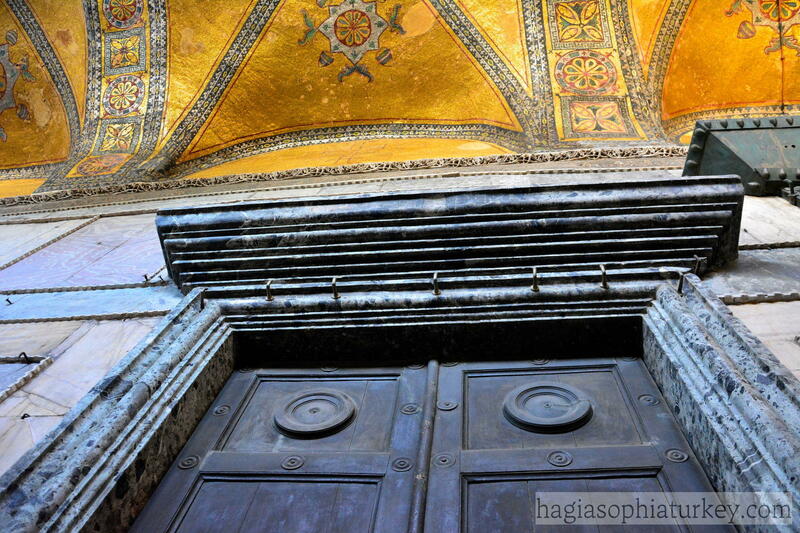 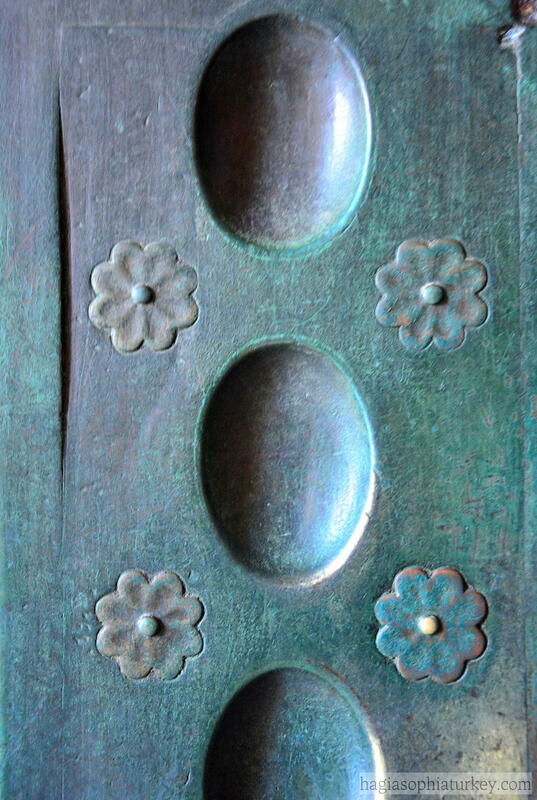 Five gates lead into the inner narthex. 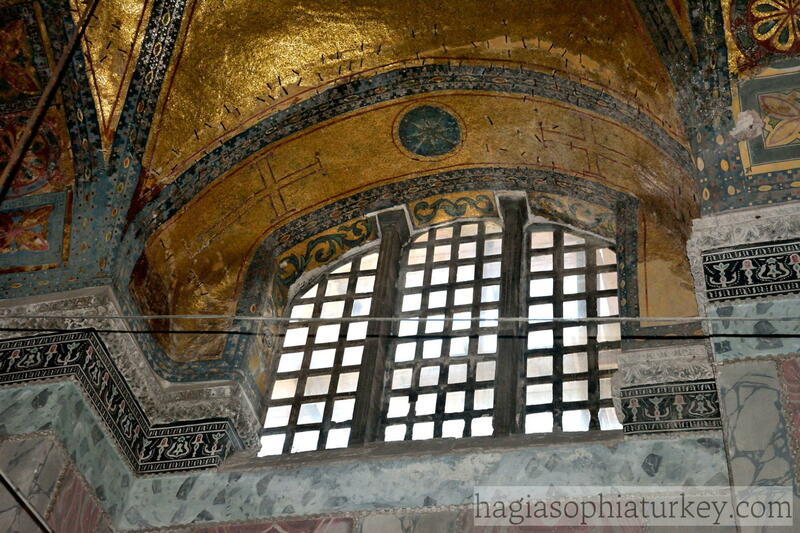 The little domes of the inner narthex are covered with mosaics. 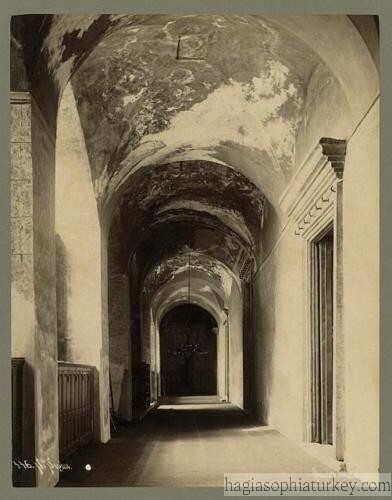 There is a rampart leading to the upper gallery on the north side. 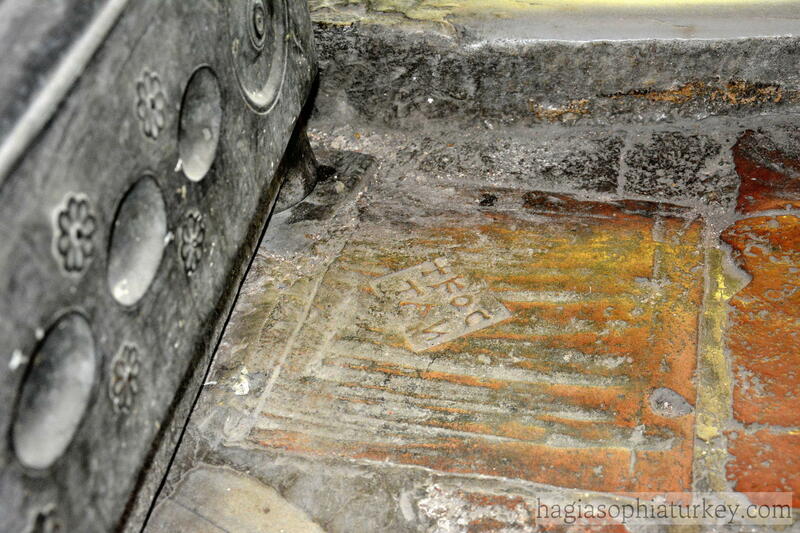 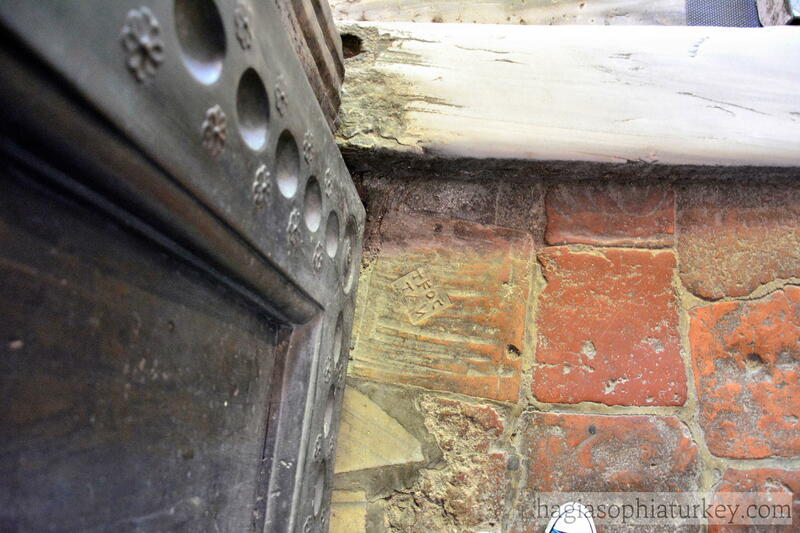 There is a crested brick on the ground floor beneath the Emperor’s door. 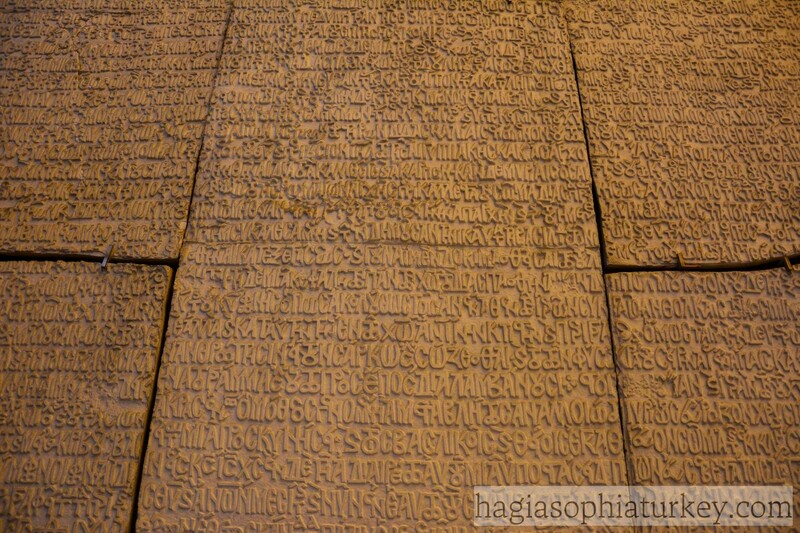 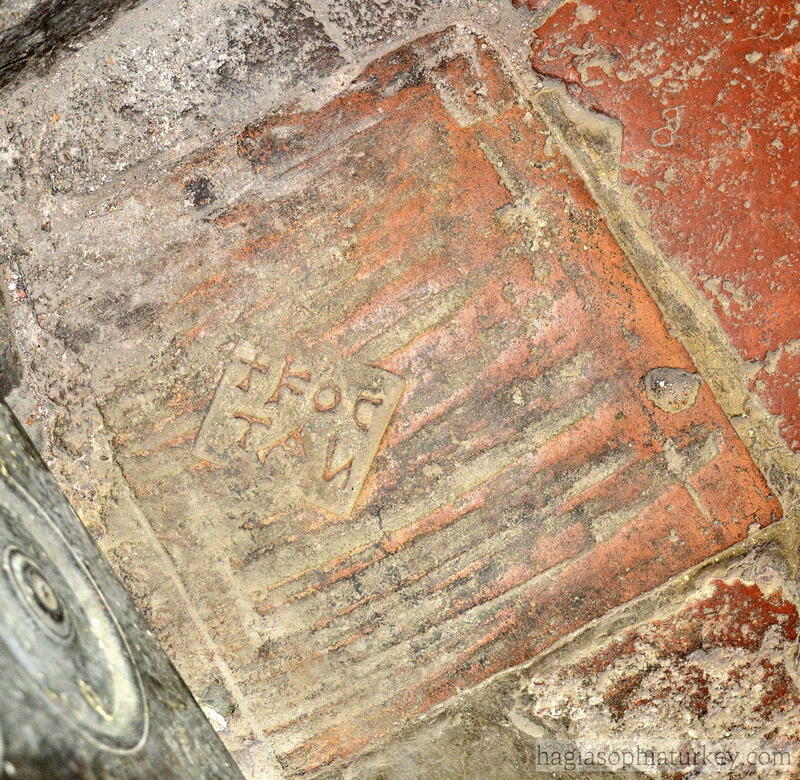 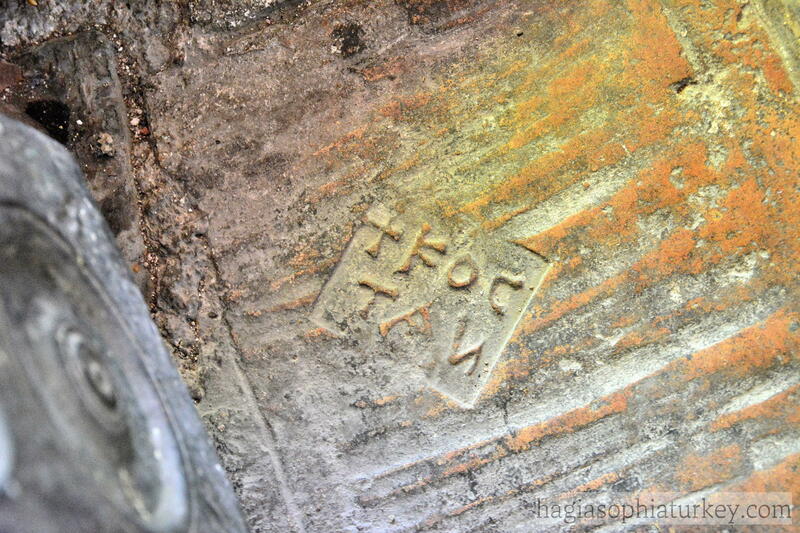 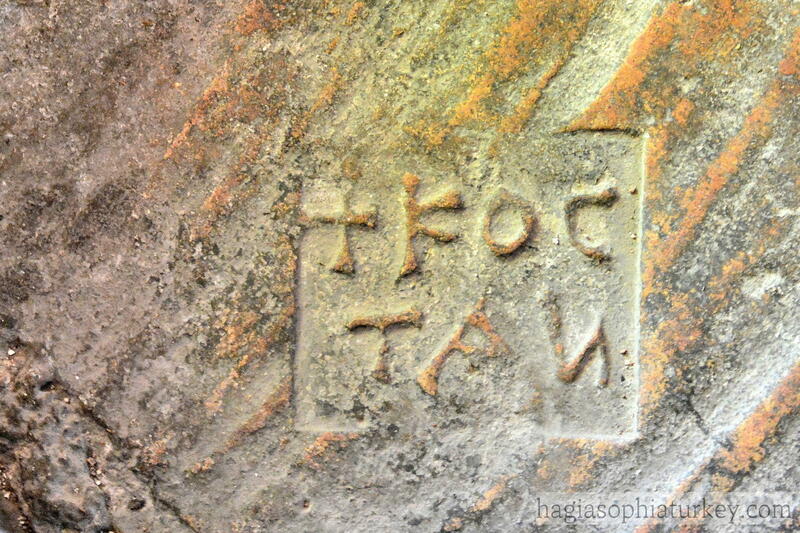 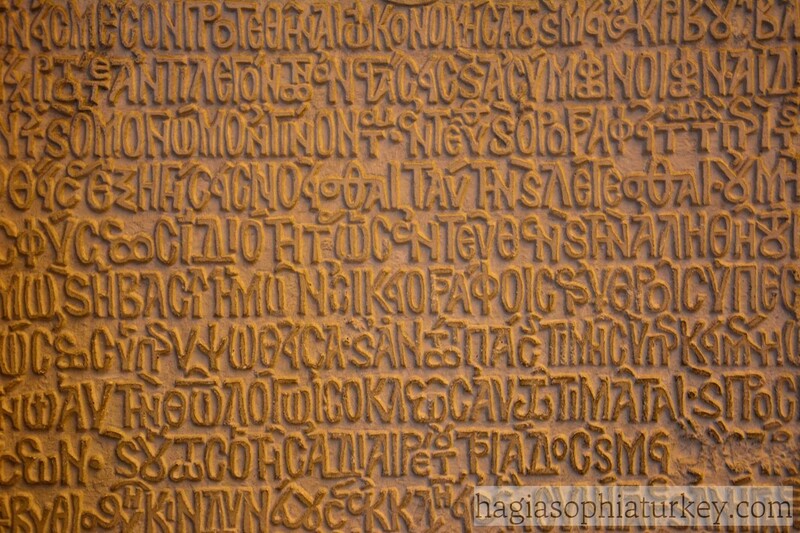 This adobe brick was, by chance, upside and it was written: “Constantinople” on it.